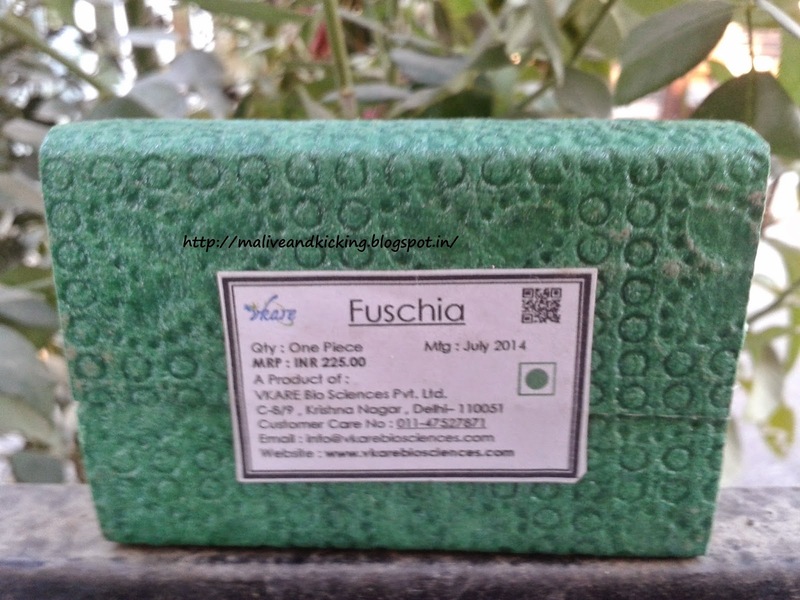 The Fuschia team from VKare Bio Sciences Ltd. had been really humble to send me a pack of three of their handmade soaps from their Natural Cosmetic Collection few days ago and I've been testing them since then. Two of the lovely soaps from the pack have already been reviewed here and here. 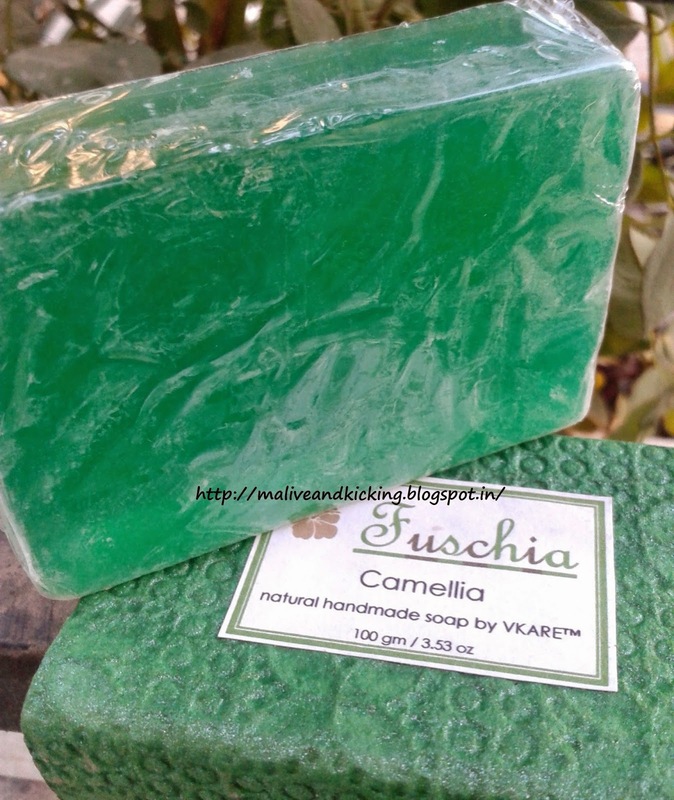 Todays review is on Camellia Handmade Soap. Don't get confused to know the soap bar is in shiny green color and not in pinkish red as the camellia flower is. Coz the final color of the soap bar is an outcome of mixing various oils as well as green tea extract. Before my first use, the Camellia soap on my palm smelt very dull (almost negligible) and lathered slightly when I rubbed it on my hands with water. But rubbing it only twice or thrice on a loofah generated enough creamy lather to cleanse the body. The light sweet fragrance though doesn't linger on for many hours. It vanishes very soon. 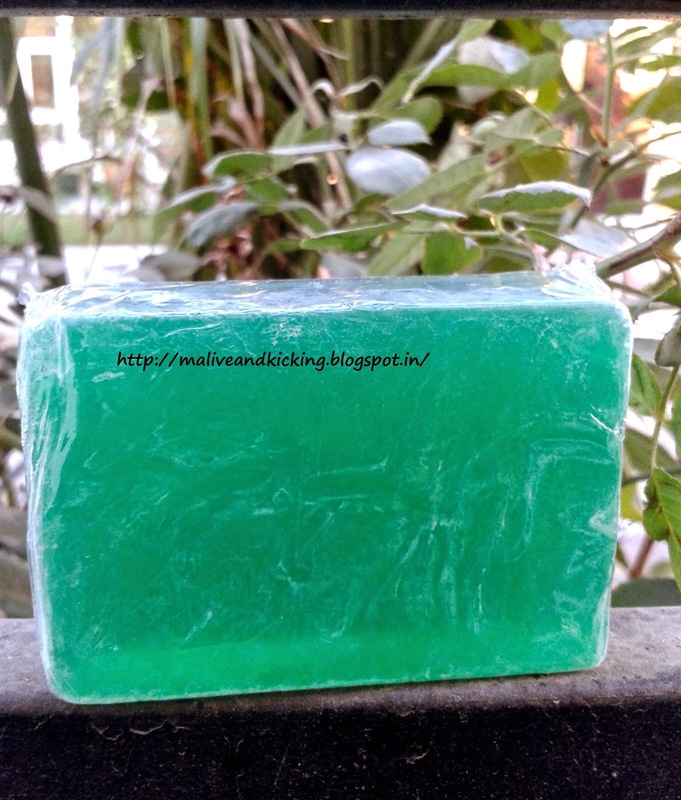 The soap is a bit softer than usual chemical based soaps due to the use of natural oils and its handmade nature. So I took special care to place it in a soap dish with holes or a wired rack in the washroom between uses to allow the soap to dry properly ( I want the soap to last longer). The skin feels actually fresh and well moisturized after the usage and clears up excessive oil from skin. Camellia's light herbal scent and vitamin E automatically blocks UV rays and helps skin maintain a healthy pH level. So I would suggest it to be used by those suffering from skin tanning. I'm firmly believing that the anti-oxidant & anti-fungal properties of green tea really work coz I noticed reduction in my body odor too. Natural Ingredients including green tea n camellia flower extracts. No harmful chemicals and artificial scents used. Causes no tight feeling or itching on skin. Can treat minor insect bites n sun burns etc. 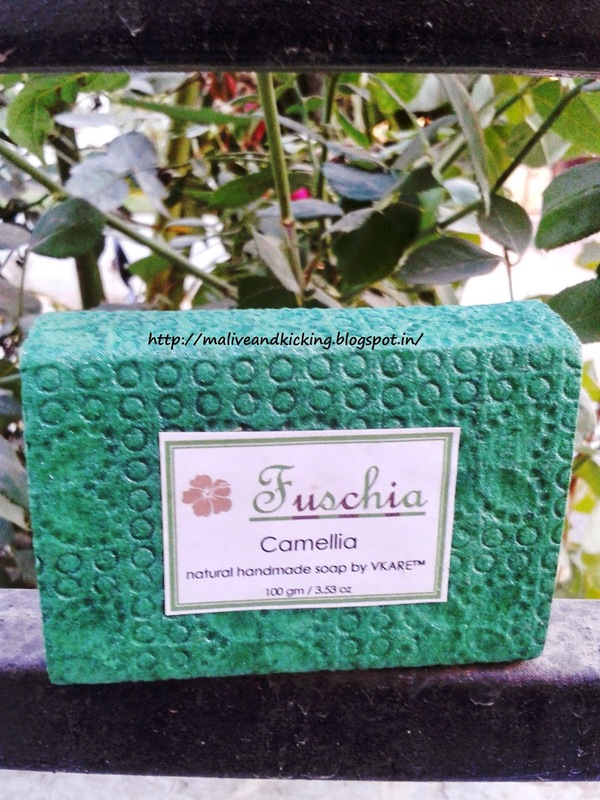 The extremely moisturizing Fuschia Camellia Handmade Soap is the easiest way to enjoy the skin beautifying n skin nourishing properties of Green Tea and Camellia in routine bath rituals. The soap is advisable to people of all skin types, but it will provide calming effect especially for dry and irritated skin.